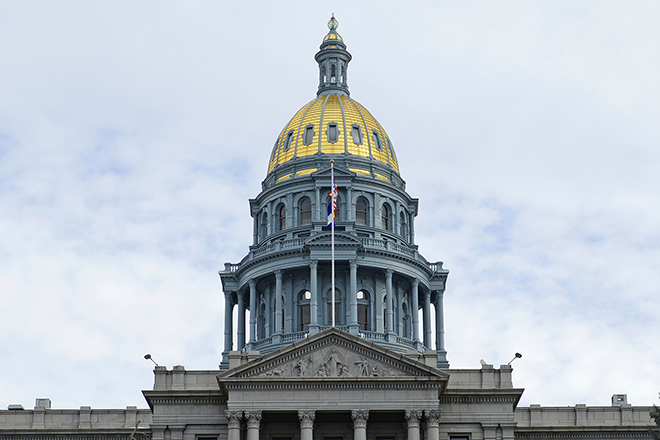 The State of Colorado is now part of a bipartisan coalition of 18 states plus the District of Columbia, nine cities, four counties, and the U.S. Conference of Mayors. The coalition has filed an amended lawsuit to block the Trump Administration from demanding citizenship information in the 2020 decennial Census, adding new co-plaintiffs and bolstering the arguments in their complaint. "We have a responsibility to Colorado to see that every person is counted," said Governor John Hickenlooper. "Our action seeks to ensure the census is being used for its intended purpose under the Constitution. An accurate census count protects federal funding and our representation in Congress." The lawsuit, which was originally filed last month in the U.S. District Court for the Southern District of New York, is led by New York Attorney General Eric Schneiderman. It was amended to add Colorado; Central Falls, RI (the site of the 2018 end-to-end test of the Census); Columbus, OH; Pittsburgh, PA; Cameron County, TX; El Paso County, TX; Hidalgo County, TX; and Monterey County, CA as co-plaintiffs. The new co-plaintiffs join the Attorneys General of New York, Connecticut, Delaware, Illinois, Iowa, Maryland, Massachusetts, Minnesota, New Jersey, New Mexico, North Carolina, Oregon, Pennsylvania, Rhode Island, Virginia, Vermont, Washington, and the District of Columbia; the cities of New York City, Chicago, Philadelphia, Providence, San Francisco, and Seattle; and the U.S. Conference of Mayors in the lawsuit. Demanding citizenship information in the Census would depress turnout in states with large immigrant populations, directly threatening those states' fair representation in Congress and the Electoral College. In Colorado, 20.9 percent of households did not mail back their 2010 Census questionnaire, and therefore required the Census Bureau to conduct in-person follow-up. Immigrants account for 9.8 percent of Colorado's population, and in 2014 about 200,000 immigrants in Colorado were undocumented. More than 275,000 Colorado residents, including 127,582 born in the United States, lived with at least one undocumented family member between 2010 and 2014. In fiscal year 2015, the state received more than $520 million from the Highway Trust Fund, and more than $72 million in Urbanized Area Formula grants. In fiscal year 2017,the United States Department of Education appropriated more than $152 million in Title I funds to school districts in Colorado and nearly $164 million in Special Education grants. In fiscal year 2015, Colorado received $3.4 billion in reimbursement under the Medicaid program, and an additional 1 percent undercount on the 2010 Census would have resulted in losses of more than $63 million in federal funding. In fiscal year 2015, Colorado received more than $38 million in Child Care and Development Fund grants. The amended complaint also highlights recent comments by Census and other federal officials, such as Census Director Ron Jarmin's remarks before Congress last month that he expected the negative impact of the citizenship demand on response rates to be "largely felt in various sub-groups, in immigrant populations, [and] Hispanic populations." Jarmin went on to testify that U.S. Commerce Secretary Wilbur Ross disregarded the Census Bureau's recommendation against including the citizenship demand. On Dec. 12, 2017, the U.S. Department of Justice requested that the Census Bureau demand citizenship information in the 2020 Census form sent to every household in the United States, even though the Census is supposed to count all persons--citizens and non-citizens alike. Under the Constitution, the Census Bureau has an obligation to determine "the whole number of persons in each state." Yet demanding citizenship information in the Census is expected to depress participation among immigrants, causing a population undercount that would disproportionately harm states and cities with large immigrant communities. Non-citizens are counted in the Census for the purposes of federal funds, apportioning of congressional seats and Electoral College votes, and the drawing of state and local districts. The lawsuit was brought under the Enumeration Clause of the U.S. Constitution, as this action by the Trump administration will impede an "actual Enumeration" required by the Constitution. It is also brought under the Administrative Procedure Act, which permits courts to set aside unlawful or arbitrary and capricious agency decisions. The Census Bureau's own research shows that the decision to demand citizenship information will "inevitably jeopardize the overall accuracy of the population count" by significantly deterring participation in immigrant communities, because of concerns about how the federal government will use citizenship information. These concerns are amplified by President Trump's anti-immigrant rhetoric and pattern of actions that target immigrant communities. As the lawsuit describes, the administration's decision is inconsistent with the Census Bureau's constitutional and statutory obligations, is unsupported by the stated justification, departs from decades of settled practice without reasoned explanation, and fails to consider the availability of alternative data that can effectively serve the federal government's needs. The demand would also cause irreparable harm as a result of the hundreds of billions in federal funds that are tied to demographic information obtained through the Census.